It is next to impossible to suffice the expectation of the clients. Apple has developed iTunes, but it is the only App to transfer music among iPhone, iPad and various other Apple devices. People tend to search for alternatives to Apple iTunes to transfer music, or iTunes alternatives to listen to music at ease, or some who are not at all happy with Apple’s iTunes. The most basic requirement of searching iTunes alternatives is for faster transfer of music files or for different aesthetic musical touch from the applications. We have created a list of alternatives to Apple iTunes, which are faster in transfer of music files and feature rich free applications. It makes management of music files on iPhone, iPad and other Apple devices easy and CopyTrans Manager is available for free to download. 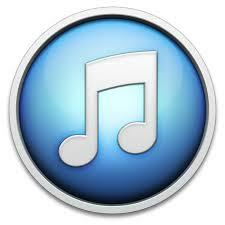 It makes transfer of music, videos and Apps from PC to any Apply devices without iTunes. MAC version is not the same, the one you can use for iPhone, iPad and iPod, but you can download CopyTrans alternatives to iTunes for MAC. If you love to have an organised music juke box for your Apple device, then Media Monkey is completely for you. On its first use, it will scan your entire computer for music and video files, then onwards, you can arrange your music and video files as per your requirement of audio, genre, composer, type of music, album, year, publisher, and rating. You can download media Monkey for free and to change its looks you can download various skins too. It supports MP3, MP4, WMA and W4A formats of music. Foobar 2000 supports audio files in almost all the available formats. It is free to download. It can convert audio formats. Keyword shortcuts and different types of user interfaces are available for Foobar 2000. It can work with third party components to manipulate its capacity. It is also flexible to allow users to add or tag the artwork. one among the oldest players, after finding some tough competitions is still in the market with its rich database of additional plugins, that gives a flexibility to burn the CDs or create visualization to make a better day. It offers the facility to manage and sort a long list of audio and video files by adding your own tags. It supports Windows XP and Vista very well. SynciOS, one among the free alternatives to Apple iTunes, which promotes the most common requirement of the users to transfer music and video files between iPhone, iPad, iPod to computers based on Windows. It can convert the incompatible files to the one which are suitable to Apple devices. It does not have the feature to add music to the iTunes directory. Google the name says it all. Google’s browser Chrome can perform all the functions that are basically done on a desktop. You can listen to the songs stored in your device through the browser only, instead of looking out for the music App. It also helps to get you the lyrics of the songs, singer of the songs, Wikipedia informations and relevant YouTube clips of the file. The major drawback is it only supports MP3 and OGG files. With the time, RealPlayer has also kept on upgrading the self, with the compatibility with the latest video formats, FLV, windows media player, RMA, RMV, MP3, MPEG, and RA. It creates a central library for the audio and video files and allows you to burn CDs, DVDs, bookmark videos on websites, create your own playlists. With the latest available versions, transfer of files from PC to apple device and Vice Versa is easy now. You are ready with the list of alternatives to Apple iTunes to download free to your iPhone, iPad, iPod or any other Apple devices. Select the best features needed by you and enjoy the music or video at your ease and comfort level.